Goals by Kevin Thornton and Robert Parker either side of half time against Goole at Butlin Road, secured three more points for Rugby Town on Saturday. The visitors are 20th in the NPL South Division. 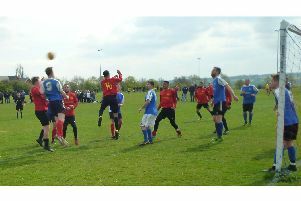 Next weekend Rugby have a trip to Spalding United, who are one currently one place above them. Then next Tuesday Valley are away again at 13th-placed Gresley.